One of the best things about Boston sports is the way the players support the other teams in the city. Last night Rob Gronkowski came out as the Bruins honorary flag captain and really fired up the crowd. 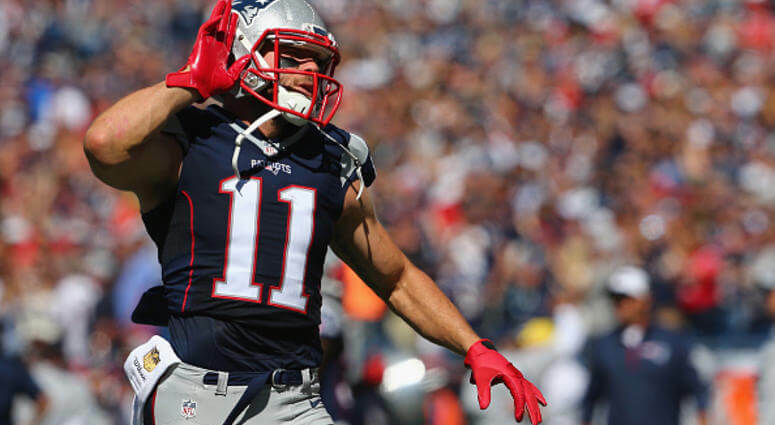 Julian Edelman wasn’t about to be outdone by his friend Gronk. Edelman took to Instagram prior to Sunday’s game to send the Celtics a message. The TD Garden is sure to be rocking today for the start of the NBA Playoffs and the Boston Celtics first-round matchup against the Indiana Pacers.